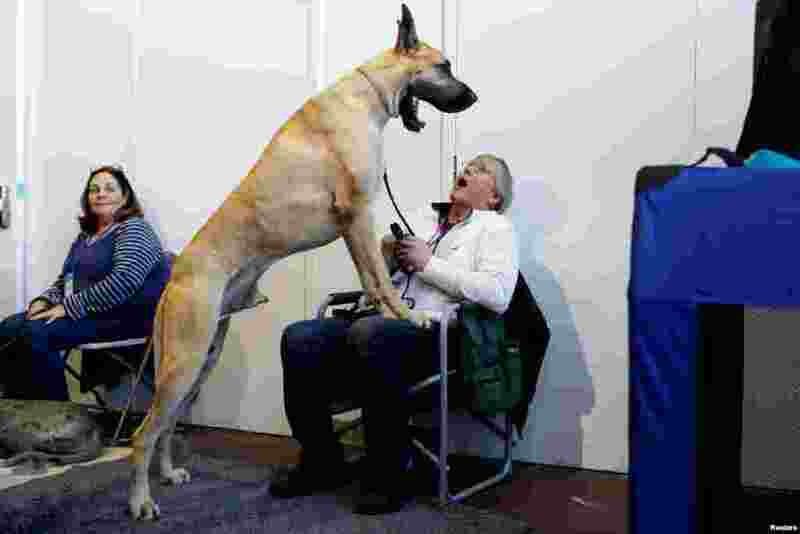 1 Don Smith reacts as Cap'n Crunch the Great Dane yawns during the Meet the Breeds event ahead of the 143rd Westminster Kennel Club Dog Show in New York, Feb. 9, 2019. 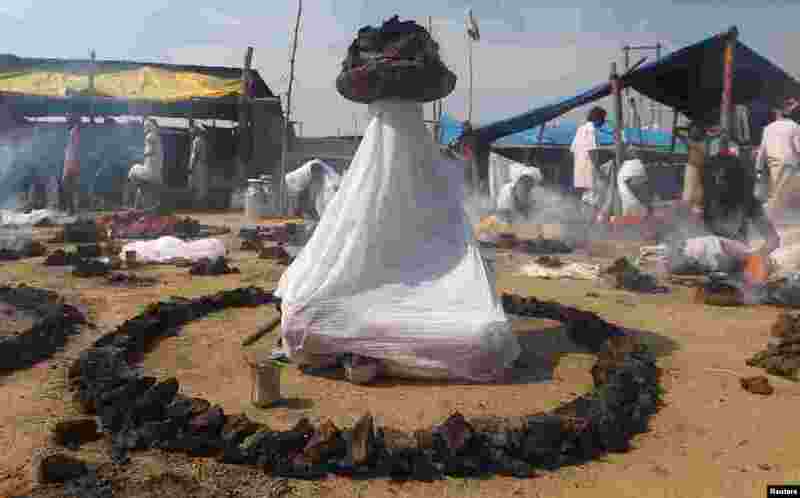 2 Sadhus or Hindu holy men offer prayers while sitting inside circles of burning "Upale" (or dried cow dung cakes) after taking a dip during the third "Shahi Snan" (grand bath) at "Kumbh Mela" or the Pitcher Festival, in Prayagraj, previously known as Allahabad, India. 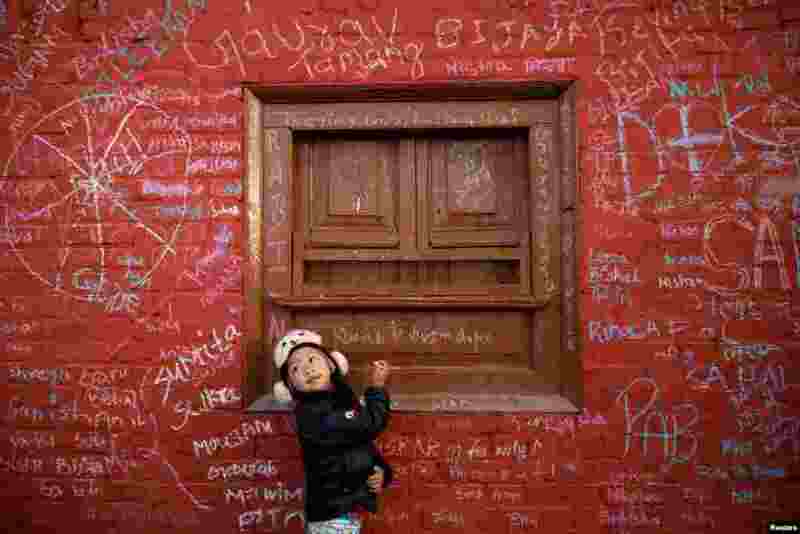 3 A girl writes on the wall of a Saraswati temple during the Shreepanchami festival dedicated to goddess of education Saraswati in belief that the goddess will help devotees excel in education, in Kathmandu, Nepal. 4 United States' Lindsey Vonn poses with her career's medals in the finish area after the women's downhill race, at the alpine ski World Championships in Are, Sweden.